Premier of Nevis and Minister of Finance Hon. 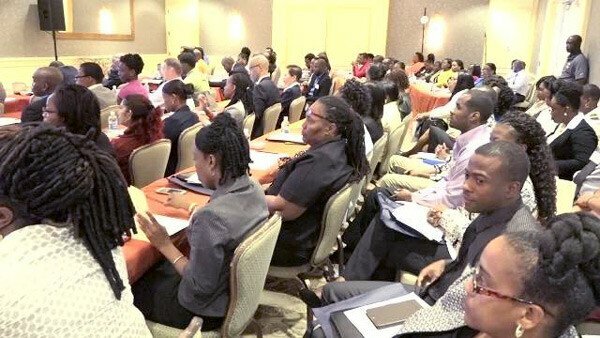 Vance Amory, appealed to financial service industry practitioners on Nevis to endeavour to do all they could to safeguard the jurisdiction because of the industry’s importance to the island’s economy. “This industry means a very great dear to the Nevis Island Administration. Roughly, we collected last year, over $12 million from this industry and that is on the bare number, 10 percent of the annual budget. “We as practitioners and as government, we have a responsibility which we must take seriously” each person has that responsibility to ensure that we do things well and that we do so efficiently,”Â he said. “You are also aware, of the importance to us of ensuring that our individual businesses do not suffer any detriment because of any action, on our part, which would impair our following of the due process. That clearly lies with the business, the director the manager and so on to ensure that the matter of compliance, the way in which your staff functions, that they are trained and they are capable of providing and performing the duties of effective, efficient compliance officers,”Â Mr. Amory said. “Such a network formed into an association, in a way, could become a self-regulating body would give significant assistance to the regulation department, and would enable us to know that we have a partnership between the government regulatory services and the private sector – you who are the ones engaging in the business,”Â he said.